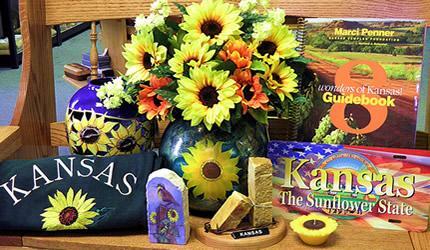 Kansas Originals Market and Gallery showcases the fine art, folk art, exquisite crafts, and food products of over 200 Kansans—the largest selection found anywhere. The coffee pot is always on. This Post Rock Opportunities Foundation project was supported in part by the Kansas Creative Arts Industries Commission, which receives support from the National Endowment for the Arts, a federal agency. Kansas Originals and this website are operated by the Post Rock Opportunities Foundation, a 501(c)3 not-for-profit corporation.